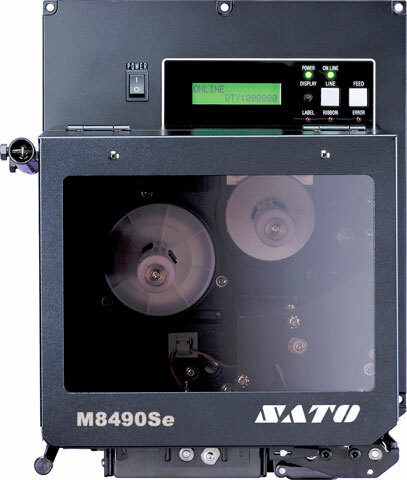 The enhanced M-8490Se is the ideal solution for high resolution barcode printing. High-resolution print engine, 305 dpi, Left-hand dispense (opposite), 8 ips, parallel data interface. High-resolution print engine, 305 dpi, Right-hand dispense (standard), 8 ips, parallel data interface.